The city is getting ready for the celebration of the Fuengirola Festival with 4 months of concerts and shows during May, June, July and August. Some of the popular names present in past editions are Janie Cullum, Beach Boys, Sting or the Spanish band Oreja de Van Gogh among others. 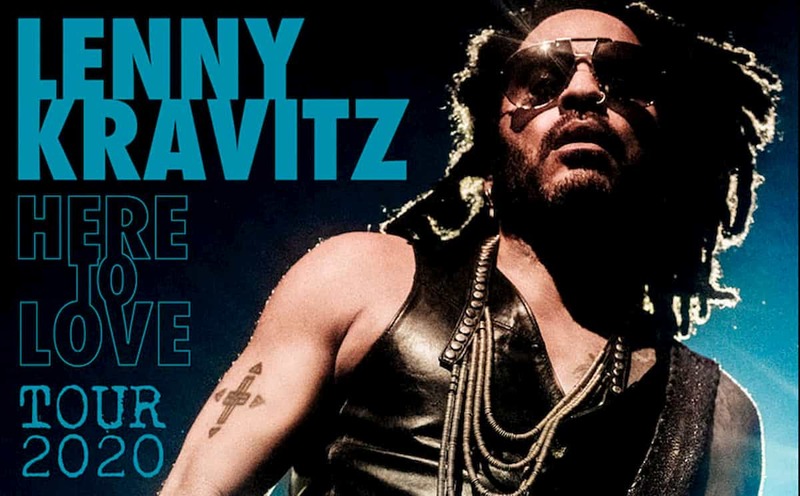 The event that will hold these concerts is the new edition of the Fuengirola Festival and Marenostrum Music Castle Park. The area for the concerts is located next to the Sohail Castle and there will be a great gastronomy offer with different kind of tickets on sale that must be acquired online. The festival will last from the 12th in May until the 2nd of September. Amazing landscape at the Arabian fortress Sohail for the concerts, situated on a hill a few meters from the beach. In past renowned artist like Beach Boys, Sting, Jamie Cullum and others assisted to the festival in Fuengirola. This year bands like Scorpions or Europe will participate in the summer months. On Saturday 27th in 2019: Jari Sillanpää at 7:30pm. Prices from 32€. On Saturday 4th from 7.00pm: Bob Dylan with his band!. Prices from 80€. On Saturday 8th at 8 pm: Leiva. Price is 38€. First urban festival in Andalucia with international artists and with free buses from Malaga, Torremolinos, Benalmadena and Marbella. The festival will be from 7 pm until 2 am with prices from 35€ to 110€ depending on ticket. The music festival in Fuengirola, which is celebrated every year during the summer, is already beginning to take shape. Prices are from 80€ to 130€ depending on ticket. 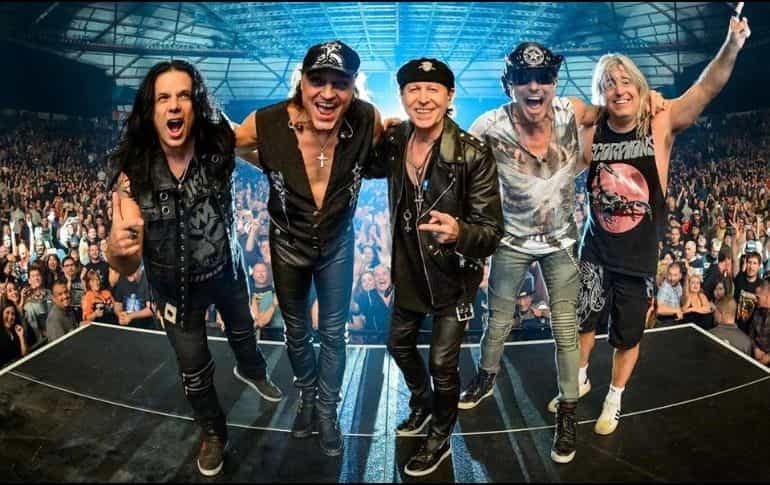 Scorpions heads the line-up on 14 June at 1.30 pm. On Wednesday 3rd at 8 pm: Rod Stewart. Prices from 85.50€. On Saturday 20th from 8 pm: Danza invisible Spanish band and other artists will participate in this conmemoration of the concert of Danza Invisible in 1989. The price for this 6 hours event will be 10€. Megashow with international artists with music from the 90’s from 7 pm until 2 am. On Saturday 3rd from 8 pm: Joana Serrat as guest and Izal in concert. Price from 28€. On Saturday 7th from 8 pm: Rasmus Seebach. Price 50€. Premium zone Silver, Golden and Platinum zones. General zone: Bench seats with capacity up to 2800 people. When purchasing the tickets there are different choices. Take in consideration one ticket is valid for one day. The prices and areas below are orientative as they might vary from one artist to another; in fact some artists prices are from 10€, so better check the official website if interested in buying a concert ticket. Exclusive access to the main area next to the stage. Drink and food is available in VIP area. Commemorative accreditation of your assistance. 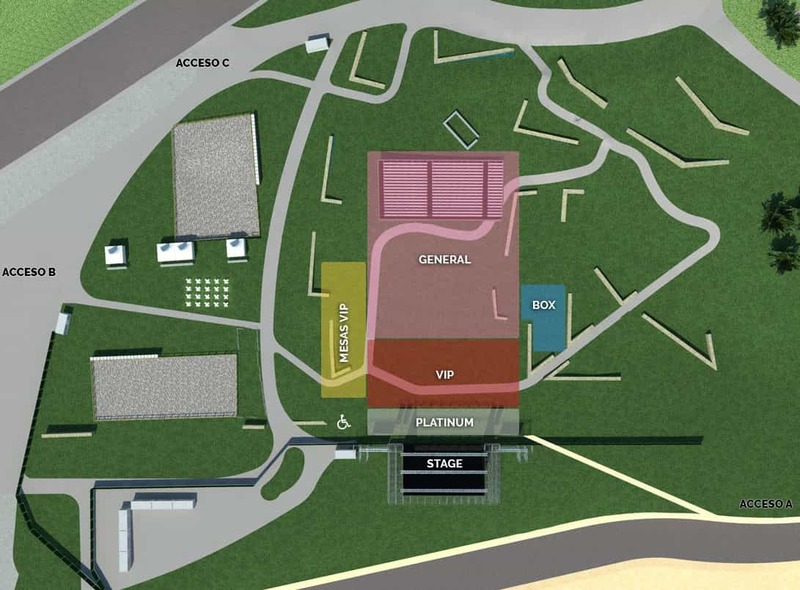 Access to the main area next to the stage and after the platinum frontstage. Drink and food is available in the VIP area. Access to reserved area for the Silver ticket entrance. Drink and food is available in the Premium area. If you need getting there you can use the commuter train or a taxi transfer to Fuengirola. In case you choose the second I can recommend https://www.malagatransfer.co.uk/. If you decide going by train it is the last stop and you will have to walk a little. With the arrival of summer it is time to enjoy the music festivals outdoors. And definitely, there is nothing better than enjoying live music at the very beach. The Indie music lovers have the pleasure of enjoying the new edition of Fuengirola Pop Festival held each year in Fuengirola. The Fuengirola Pop Festival was created in 2008 with the idea of establishing itself as an event focused on music and pop culture, responding to a very large minority that calls for another kind of concerts, with Pop music, Rock, Power-Pop, Punk-Pop, Garage, Surf or Soul. The Bar Pog’s celebrated past year from 18 to 21 July the Fuengirola Pop Weekend. Admission use to be free on Wednesday and Thursday; Friday and Saturday at a price of 30 euros per day or 45 euros for two days. Artists in past events included Miss Gin, The Soaks, Dry Surfers, Super Ratones, Cooper, The Loud Residents and more. You can find information (in Spanish) on the website Fuengirola Pop Weekend. You can check the popular Starlite Festival in Marbella with guest artists like Sting and James Blunt among many others. Hi! Is there parking at the venue? We are thinking of coming to the Rock The Coast Festival but will need to drive from Jaen province. Many thanks. Hello Kevin. 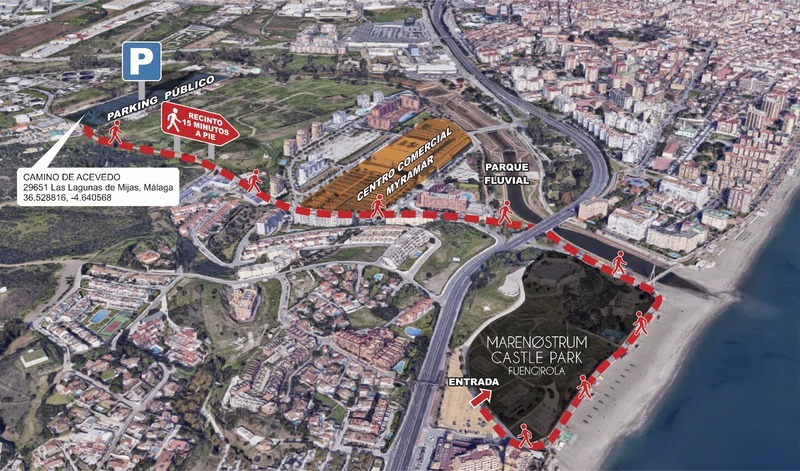 Yes there is parking in the surroundings (calle Tartesios), but many people will assist so Im not sure about availability next to the concert area. Are there any tribute bands on in July? I missed one last year. Im updating now with new information about concerts and dates. Danza invisible and other artists will perform the 20/07/2019 in an aniversary event of the band for 10€.